In order to provide the Kiddush you request we will need to know by the Tuesday before. Or you can just just fill out the form below. The Shabbos of: (month/day) for a calendar . To pay online using paypal click here. 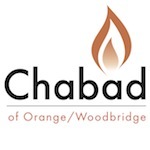 You can also send a check payable to Chabad of Orange to:261 Derby Ave Orange, CT 06477. Thank you very much!